Searching for Post Tabs for your Blogger? How To Install Post Tabs Widget for Blogger? Your Info Here will display when first Tab is clicked that is "TabName1"
Your Info Here will display when 2nd Tab is clicked that is "TabName2"
This is for first Tab with name"TabName1" and Tab id is "1" and for inserting information in this Tab we use this below code. NOTE: If your Blog Template already have Tabs in Sidebar then id1 id2 and id3 are alloted to those three Tabs,you have to use from id4 onwards. Go to your Blog Template and search for this code <style type='text/css'> Paste the above CSS code Just Below The code which you have finded. Now Preview your Template if nothing is wrong then save the Template. 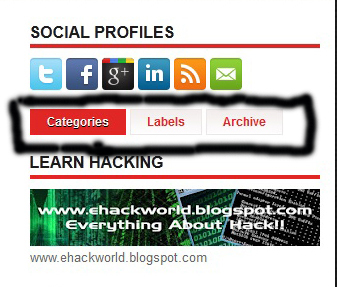 To Display Post Tabs in you blog Posts Use the HTML Code Which I have gave at first.